I'd like to thank a RealUfos.net reader for this recent Ufo photo submission. This is a real find here and it reveals a large triangle formation with 2 red lights and one white light at the peak. This light configuration is often seen in triangular Ufo reports. 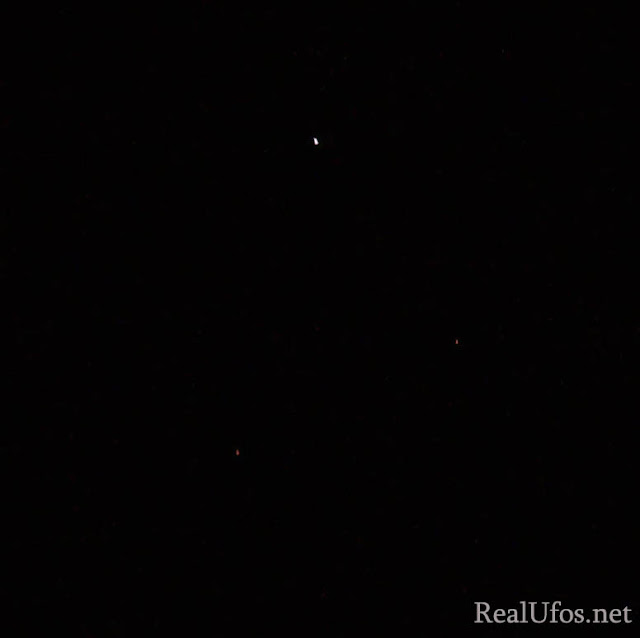 If you live in WA and also witnessed this sighting, then RealUfos wants to hear from you as well, please reply to this post if you have further information. 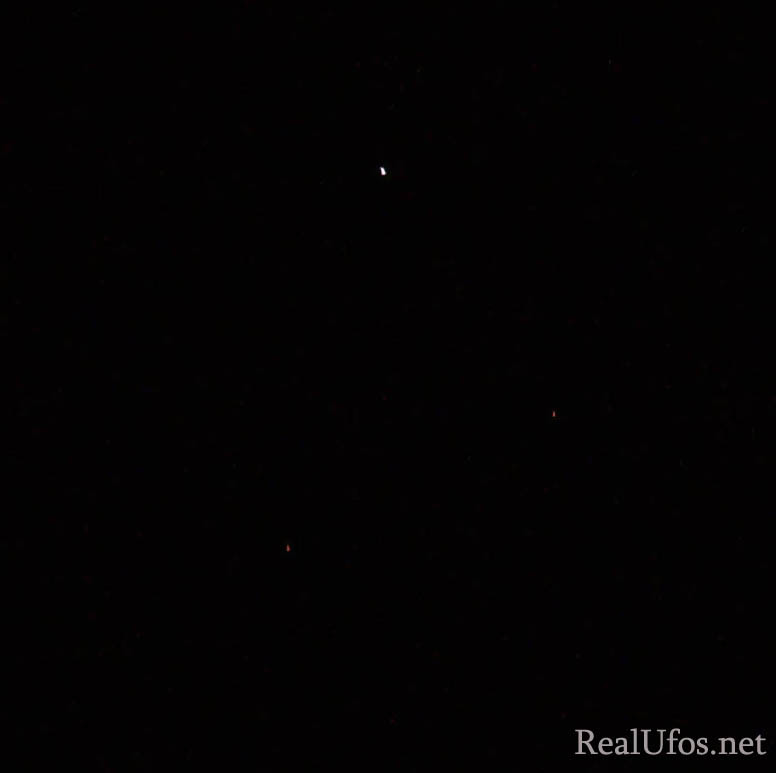 6th September 2010 Kwinana Western Australia, my neighbour and I saw two slow moving Red/orange bright lights the size of the biggest star. I raced inside to take a photo and flashed the camera a few times when they stopped moving, then suddenly proceeded to move slowly. Still in eye distant and at the same size just vanished into thin air. The time was 7pm at night with clear star light sky. This is the second time as the first time was in early August we both saw one same such light at 11pm with a clear night sky. We both pointed as it was moving in our direction then it sudden turned around and just vanished. The local newspaper I think does not quite believe it. I have 3 photos and we saw what we saw. 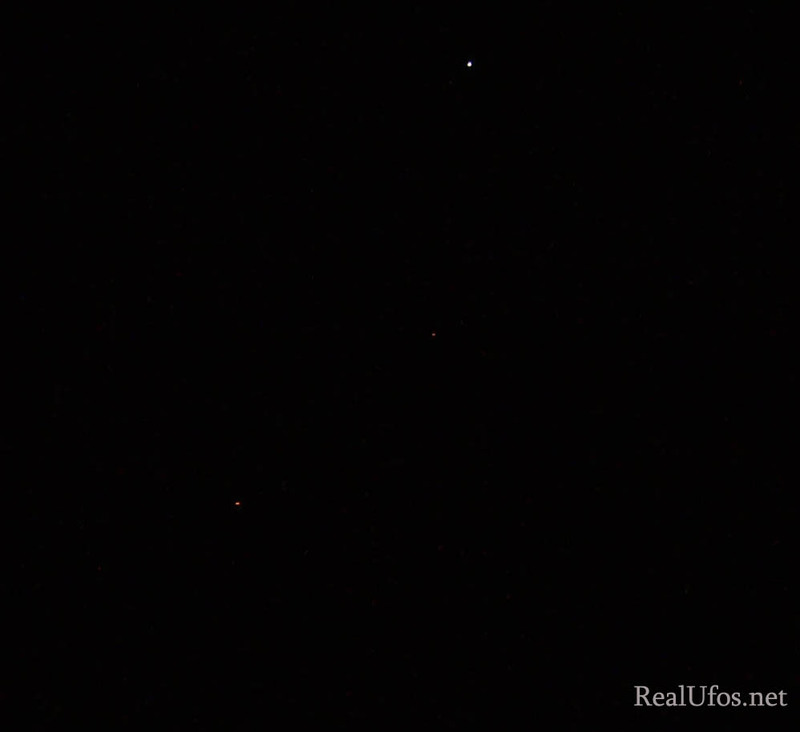 The red lights are small on the photos but they were large as the largest star first seen of the night sky. Remember you can submit your news and photos to RealUfos using the "submit" form above! i'm not saying this is 100% fake, i just think we need to be sceptic about photo material like this. Awesome! A photo of three dots! 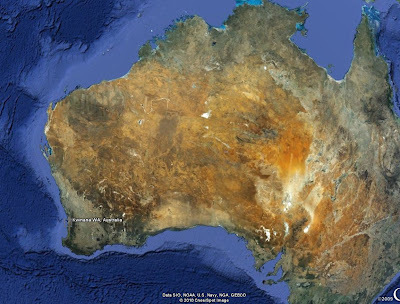 Not actually commenting on the photo of dots - but there is a joint Australia/US Military base not too far from there, & an airforce base further north. FACT: It was two blokes, who fired three recently purchased rockets, into the air.